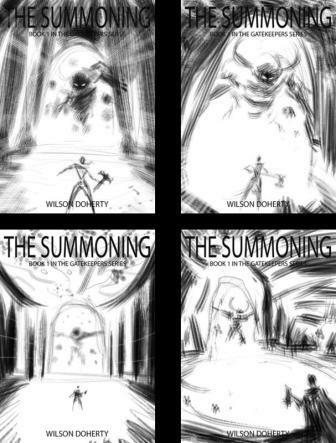 As you'll know from our last blog, the Wilson Doherty team is going to self-publish one of our Young Adult Paranormal stories (THE SUMMONING, Book 1 in the Gatekeepers series). Because we couldn't find any ready-made images that we were happy with for the cover, we searched out an artist on DeviantArt and commissioned him to paint us an original cover. We thought it would be fun to share the development of that cover as it evolves. So here goes - the first installment of Creating the Cover. 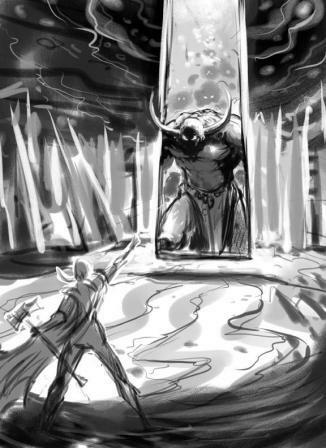 We wound up selecting elements of each of the sketches which Scott combined into something we were happy with as our cover concept. Next stage, color choices. Stay tuned!